Baker’s Acre Baker’s acre began life in 1947 a John Kielbowski’s Tropical Gardens Motel on the west side of the property where there were brick units surrounding a central grass strip or court. In 1952, Harry Baker developed a nearly identical property of wood-frame units, which he operated it until his death in 1970. Over the years, the two properties were joined, some buildings removed, and other added until it included the several cottages, duplexes, and multiplex structures that can be seen today. Each is built in a row and surrounds an open courtyard. Baker’s Acre represents one of the last auto courts in Arizona—a simple form that descended from the auto camps of early American car tourism and culminated in the appearance of the motor lodge. The simple design reflects the development of auto culture in the United States at mid-century, especially on broad western roadways. Property owners would build small central courts surrounded by cottages or linear multiplex units. Each building had parking and faced an open courtyard; the design was economical, functional, and served a growing population of car vacationers. Baker’s Acre is the last surviving expression of this style on Apache. Other auto courts, such as the Queen’s Court, Lois’s Court, and Del Rio Court, that once dotted the street have all disappeared. Initially, Baker’s Acre served auto travelers. Over time, its units were converted to apartments, and beckoned World War II vets and later hippies from the emerging counterculture in the 1960s. 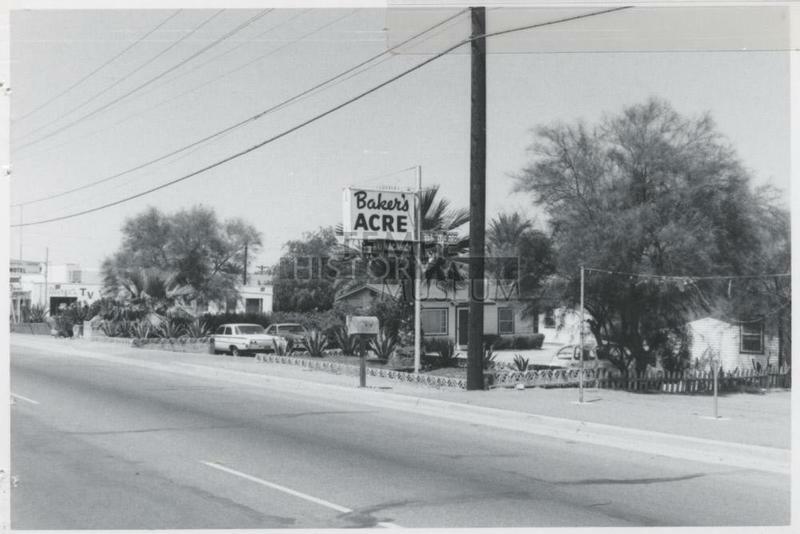 As the fortunes of Apache Boulevard changed, and travelers diverted to other roads, Baker’s Acre became one of many hubs for vice along the Boulevard whose decline was often noted in the local press in the 1980s. Due to low prices and private cottages, Baker’s Acre became an ideal location for drug dealers and solicitors of prostitution. Ivan "John" Kranjcevic, a carpenter and former contractor, who bought and began to rehabilitate Baker's Acre Motel in 1999 recalled, "We had all kinds in here. They were selling drugs and soliciting prostitution, but I put a stop to it. I lost some customers, but those are the ones we don't want anyways." In recovering the historic auto court, Kranjcevic preserved a unique form in American automobile culture—but with the emergence of the light rail and increasing property values on the Boulevard, the long-term future of the property remains in doubt. 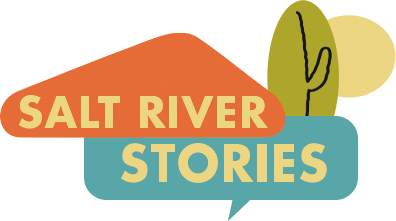 Angel Pena and Mark Tebeau, “Tourist Auto Courts,” Salt River Stories, accessed April 20, 2019, https://saltriverstories.org/items/show/260.